She was a dangerous man's lover - now she's his dangerous enemy. For Kate Jones, being on the run from her former lover - the vicious leader of a Mexican drug cartel - was never going to be easy. But with a new identity, a new lover, and a new life in Arizona, she was beginning to believe she'd made it through the worst. Then, in an act of twisted revenge, Kate is kidnapped and imprisoned by her deadly enemy, his intention to force her to pay back the money she stole before he kills her. 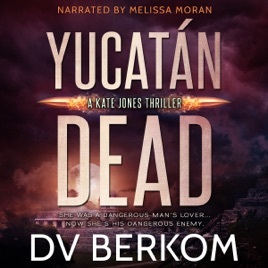 Fate intervenes and she finds herself working against the cartels deep in the Yucatan with a group of off-the-grid commandos. From peaceful northern Arizona to the steamy jungles of Mexico, Kate Jones must decide for herself if she'll continue to run - or turn and fight the evil that pursues her.